Hi, I don’t understand why you sell finally, or you didn’t explain much.. If you did your analysis well, you should not sell only because stock goes down, market news and comments. Please take very much caution on market news (especially Reuters) as they seem to contain game changing information, but actually are not. I had backward looking on some investments I made and sold at the midst of “game changing” information and realized that all in all I would have been much wealthier should I have hold on everything than sold and try to equalize losing and winning investments. To be honest, I think that stock picking is unfeasable for us because of our expectations, time frames and emotions. Or, commit one of your finger for every investment you make: if you sell it before 5 years, you have to cut it ! Hi Bon, thanks for your comment. I did not sell because the stock went down. I sold because I realized that funeral services is something that politicians and society does not accept as an area where large profits are made. I did not expand on it as much for Fu Shou Yuan, but I have read similar comments around that company. Also the communist party in China has quite strong ideas around this, which is not in line with what Fu Shou Yuan business strategy is..
Stock picking is hard, and we need to keep our emotions in check, its not easy, but I still believe it’s doable. So far I have outperformed the MSCI World index, although I kept a big underweight to USA, which is 50% of the World Index. And USA has performed much stronger than other markets, so my actual outperformance adjusted for this is even larger. Let’s see if I can keep this up in the future as well, I will do my best. Hope you can contribute with your thoughts and help me out! Yes Fu Shou Yuan was OK..
After your posts about Dignity (not this one) I also looked into the company a bit. I’m in doubt if the UK CMA intervention is really bad for the company. If they really have outrageous prices this might be a problem but it also depends on the service which is delivered. Very cheap alternatives don’t have a great service. Dignity also mentioned theirselves they want regulation. I think this whole thing might be overblown. The market cap has been cut more than half already, it’s more about patience now probably. Why I’m saying this is that I have experience with selling at lows in the midst of a company crisis. You have to really think carefully about selling because it’s not always the right option. I’m not saying you didn’t but sometimes emotions can take the best of you; you have new ideas in your head and want to get rid of the pain, but losing money is hard to recover from. 50% loss mean you have to recover 100% with your new investment to overcome it. I’m not judging in any way, I’m learning each day, from this blog from others and from my own investment decisions; just wanted to share my experience in this context. Agree with you, never an easy decision. It might definitely be that this is overblown in a year or so and the company recovers. 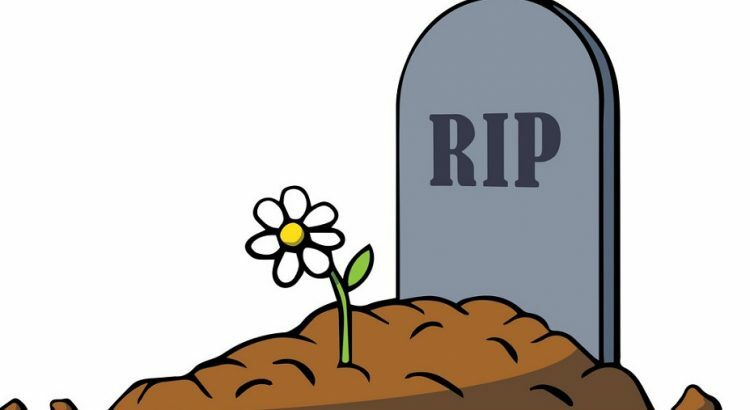 But with the facts I have right now, I have to decide if these funeral stocks, or other companies have the best long term prospects. In the case of Dignity I did not mention one detail (which I have brought up before) and that is its debt. If they would actually become significantly less profitable over the coming years, the debt burden will really hurt them. And regarding having to recover 100% to cover the loss, yes that its true. But that will be equally true if I keep Dignity, it will also need to increase 100%. So that is not really an argument to sell or not, the point is, does Dignity have a better chance to return 100% or some other company? Right now I rather bet on another company. I might change my view again in the future. One important point in the superforecaster book is not get stuck in your decision and not take in new information. Yes recovering is the same for Dignity although it’s common in this kind of company crises that there is mispricing in the stock; even more so in illiquid stocks/thinly traded stocks.